It was the last Saturday in April 2006. Becky Smith was busy running around making sure everything was set for the Tour De Lopez, the annual bike tour around Lopez Island that she started three years earlier. All was ready to go. The signs along the scenic country roads were where they needed to be. Rest stops were strategically placed around the island. Dozens of volunteers were at their stations. Local businesses were ready to accommodate the hundreds of riders who were about to increase the population of the island by nearly 40%. And then the wind and rain started. Even though almost every Tour De Lopez has been blessed with nice weather, it’s not as if Becky and her team hadn’t considered the possibility of rain. After all, this was the Pacific Northwest, a region known for its moistness. But this was different. Temperatures dipped; the wind whipped; and the rain came down in buckets, not as the mist that’s characteristic of western Washington precipitation. This would surely spell doom for a ride that had ‘til then been rapidly growing in popularity. What happened next is why the Tour De Lopez has become one of the most popular non-competitive bike rides in the Pacific Northwest, and why Lopez Island is known for its unique brand of community. The Lopez fire stations and churches opened their doors to provide warm shelter and hot coffee for cold cyclists. The restaurants expanded their hours and brought out food. And Becky, who is also the Lopez fire commissioner, got the fire chiefs to radio the volunteer firefighter network to bring several flatbed trucks to Lopez Village. Those trucks were used at the end of the ride to take bikes back to the ferry landing for people who didn’t want to ride back in the rain. The Lopez School superintendent called in the school bus drivers to drive those people to the ferry to meet their bikes. Members of the community, who until then had been slow to warm up to the idea of the Tour De Lopez, came out in droves to offer whatever help they could so that the event was a good experience, regardless of the weather. The entire island stepped up to make that year’s Tour De Lopez one of the most successful Lopez events to-date; and it marked a turning point for the ride, which is now in its twelfth year, consistently drawing nearly 1000 riders. Business was up, riders got to see the community in action, and the word about Lopez started to spread. Becky remembers one couple, completely impressed with what they saw, who made the decision to buy property on Lopez that same weekend. Since then, the ride has continued to grow in popularity, with some people making an annual pilgrimage to the island for the late-April bike tour. 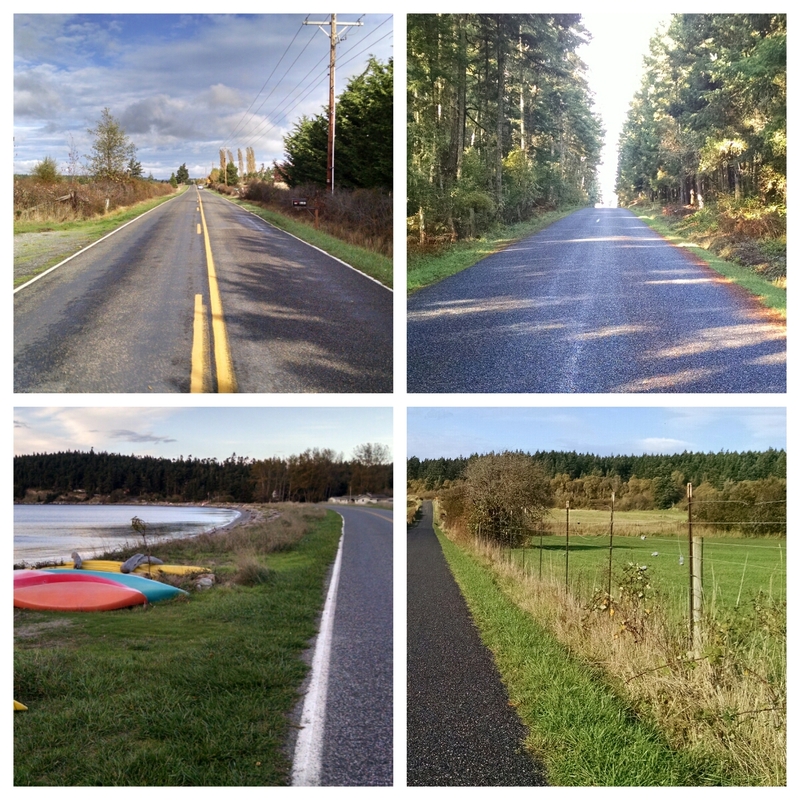 Today, Lopez Island is synonymous with cycling. The miles of mostly flat, nearly car-free country roads that wind their way through farms, forests and stretches of beach make the 29.5 square-mile island ideal for a leisurely ride. With loops ranging from five to thirty-one miles in length, the Tour De Lopez invites people of all ages and skill levels. The routes have been designed to keep people off of Center Road, which divides the east and west sides of the island and is the closest thing to a thoroughfare that Lopez has (there are no street lights on Lopez, by the way). The Tour De Lopez has grown into a weekend-long event. The bike tour is accompanied by the Bite of Lopez on the Friday before the ride and a post-ride party on Saturday afternoon – complete with musical performances, local food and beer garden.